Jennifer Ferng is a Ph.D. candidate in the History, Theory, and Criticism of Architecture and Art at the Massachusetts Institute of Technology. She holds professional degrees in architecture from Rice University and Princeton University. Her dissertation entitled 'Nature's Objects: Geology, Aesthetics, and the Understanding of Materiality in Great Britain and France' traces how diamonds, metal, stone, and mountains were conceived and understood by artisans, architects, and geologists during the late Enlightenment. Her academic work has been recognized with external awards and fellowships from the Center for European Studies at Harvard University, Embassy of France and Ministry of Foreign Affairs, La Societe des Professeurs Franáais et Francophones d'Amerique, Paul Mellon Centre for Studies in British Art, Samuel H. Kress Foundation, Society of Architectural Historians, and the Yale Center for British Art. She covers a range of topics from the early modern era to the twentieth century, bridging between art history, architectural history, and the history of science; her forthcoming publication will be two essays in 1740, l_abrÇgÇ du monde, an abecedary focused around the eighteenth-century collecting practices of French savant Antoine-Joseph Dezallier d'Argenville, to be edited by Anne Lafont for 2012. 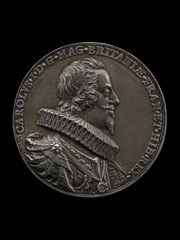 Within the field of art history, printmaking techniques utilized to emboss royal portraits onto medals and other forms of national currency is an understudied area of scholarly concern. This paper reflects upon the innovations behind the monetary screw press, a machine used to stamp images and text onto the metal surfaces of coins. In joining aesthetic analysis with the history of technology, I consider the example of Nicolas Briot, a seventeenth-century French artisan who was involved with the elaborate development of this tool of mechanized labor for the production of engraved portraits for Charles I of England. Early modern design, as exemplified by this case, defined modes of artisanal flexibility, shifting alliances with and against technical instruments, and changing social expectations dictated by sovereign leaders. The demanding pursuit of quality craftsmanship was associated with achieving standards of uniformity and reproducibility that reflected the perceived stability of the state.